Baby Eli riding a rocking horse. This rocking horse is super cute! When you press its ear it neighs! aaahhh you look tres chic!!! :D your boy is so cute and healthy!! teehee! How'd you get so slim! I want to know! great dress sweetie!! :) and baby eli is soo adorable. how is motherhood going? nicest feeling, no? you're very thin already... it's like you didn't even give birth! oh my! and i love the dress! love the dress and your shoes...plus your baby is so cute!!! Totally agreeing with everyone else. You got so slim so faaaaaast @. 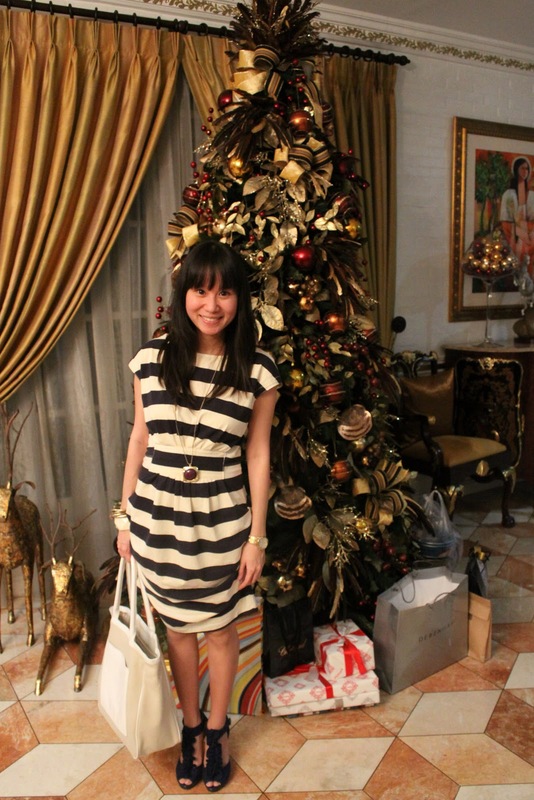 @ And I love the striped dress. Striped clothing is always so chic for me. and your baby is so cute! !